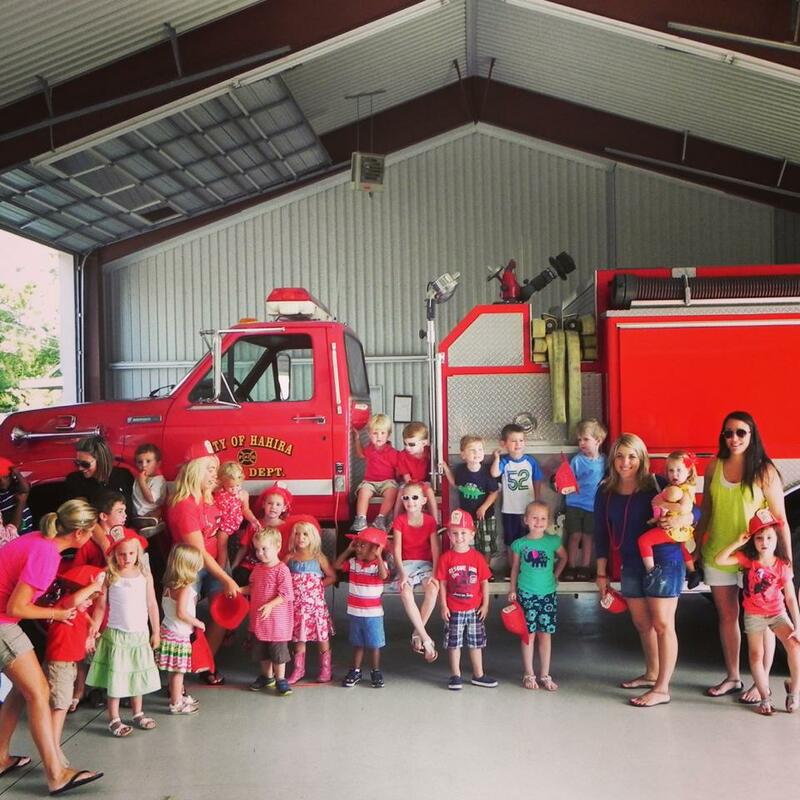 Part of our yearly summer tradition is to have a trip to the Firestation for the kiddos. I'll be honest, this is NOT my favorite thing to do, but I think it's really good for the kids. Last year, we didn't go because Coop was like a week old. This year, it fell during his nap time, so LL and I went. ...or pretending to be a "itty bitty kitty". I promise, she's a cat AT LEAST 8 hours every day. Watching the fireman put on his gear. Waiting in line to get on the firetruck. We straightened her hair this day (her request), but the heat and humidity were making it curl back up. I am excited that Coop will be able to come with us next year. I'm sure (since he is ALL BOY) that he will love it! You can see our visit in 2001 here.